The new edition of our “Top 5 Hybrid Energy News” is again about two projects at remote mines and also several projects in rural electrification. It covers projects in Australia, Nigeria, Russia, the Maldives, and the Philippines. It features EDL, SunSHIFT, South32, SunPower, Nigeria’s REA, Rocky Mountain Institute, the World Bank, Rockefeller Foundation, Hevel Group, Polymetal, the Ministry of Environment and Energy of the Maldives, Solar Philippines, and Tesla. The solar plant will be developed to generate electricity for the mine’s accommodation village and airport, with surplus power to support the mining and processing operations. The new plant at South32’s lead-silver-zinc operation in Queensland will be the second largest solar installation at a remote, off-grid mining operation in Australia and the first to be integrated into a gas-fired power station. Nigeria’s Federal Government has completed arrangements to roll out 10,000 minigrids to support electrification of underserved communities. The initiative is led by the Nigerian Rural Electrification Agency (REA) and supported by Rocky Mountain Institute (RMI), the World Bank and Rockefeller Foundation. The new solar plant will be built by the Russian Hevel Group at Polymetal's Svetloye gold mine. Diesel reduction is estimated at 250t per year. It is the first solar-diesel hybrid plant for a mine in Russia. As Russia is among the top mining countries in the world, a significant market potential can be expected in this segment. Ministry of Environment and Energy of the Maldives reports that once the project is complete, the H. A. Atoll will have a 2.3MWp solar PV system, 17 diesel gensets of 3.3MW, and 2.5MW of batteries. The plant brings cheaper, more reliable power to areas poorly served by utilities. Solar Philippines used a lithium-ion battery from Tesla. The project in Paluan, a municipality of Occidental Mindoro in the Philippines, was inaugurated on March 11th. Please use likes and retweets on Twitter to show which of the Top 5 news you like best! All likes and retweets are added up; the result will be published in our NEWSLETTER! 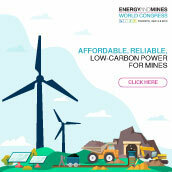 Sign up for our NEWSLETTER at http://www.th-energy.net/newsletter/!